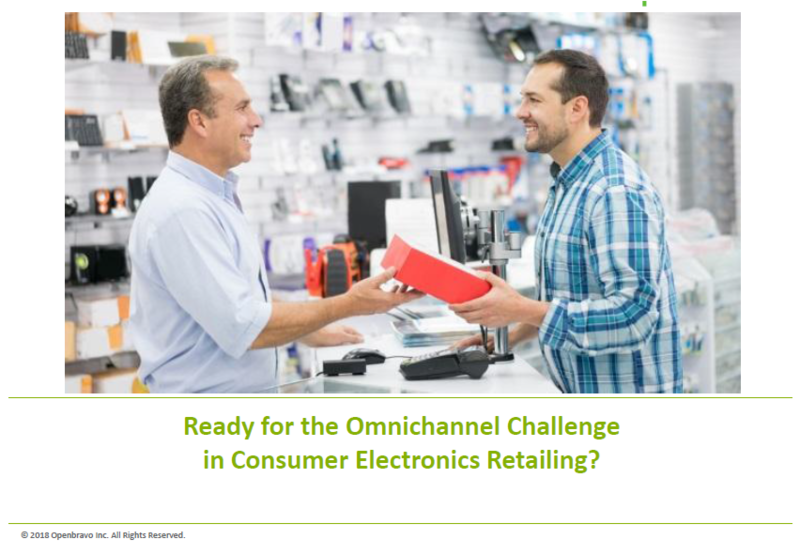 Ready for the Omnichannel Challenge in Consumer Electronics Retailing? Consumer electronics retailing has entered a new and more challenging era due to the greater demands of today’s tech-savyy shoppers. Shorter product lifecycles, the Rise of the Omni-shopper, and the growing competition from brand-name manufacturers like Apple and from Amazon, make it much more difficult for electronics retailers to forecast their sales and force them to adopt new strategies to stay competitive. This presentation expains the main challenges facing electronics retailers today, such as the fast-changing purchasing habits of omnichannel shoppers, greater assortment complexity, and the growing competition from online players. To stay competitive, retailers must make a step change in agility and innovation in their retail operations, adopt greater pricing and discounting agility, and put a sharper focus on customer service. The presentation then highlights Openbravo can help you achieve greater competitiveness in this more challenging environment, with tools like mobile POS with integrated RFID or mobile payment options, as well as more accurate sales forecasts and gain enterprise-wide real-time inventory visibility with advanced warehouse management capabilities from mobile devices.